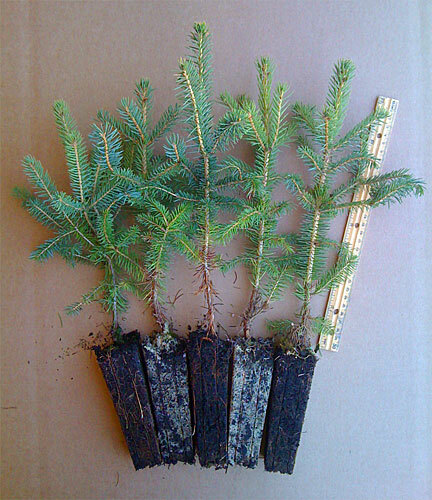 Meyer Spruce plug transplants for sale, featuring short dark green needles and a slower than average growth rate for a spruce. This slower growth results in very thick foliage which is perfect for privacy screens and natural windbreaks. In terms of overall shape, needles and other characteristics, it is quite close to the Colorado Blue Spruce, but is more resistant to pests and disease. It’s conical shape, blue-green color and excellent needle retention makes Meyer Spruce plug transplants ideal as an ornamental and natural visual barrier from those pesky neighbors. 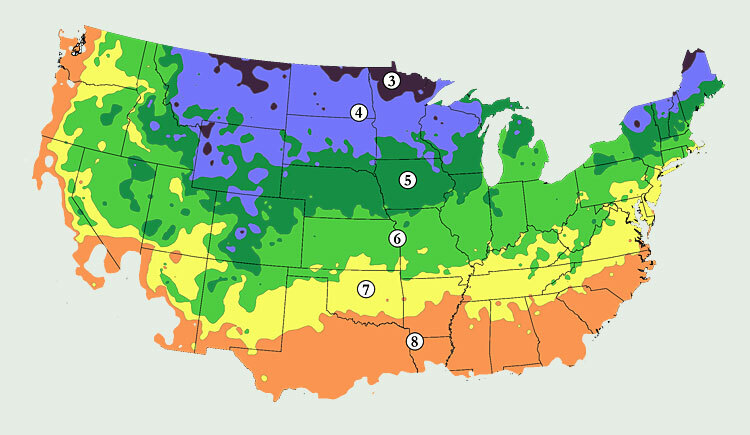 Meyer Spruce are native to China, but are very commonly grown and planted throughout the United States, as far south as Northern Georgia and Northern Texas due to their drought tolerance and ability to grow in warmer zones. At higher elevations they can survive even farther south, although they may not flourish as they do farther north. Meyer Spruce plug transplants prefer full sun, but can grow in both light and heavier soils and a wide range of soil acidity. They can reach a mature height of 40 feet, which is less than other popular spruces, making them ideal for locations where height is an issue. Watch how to plant evergreen plug transplants fast and with less effort than any “bare root” evergreen transplant of a similar size. With just a cordless drill and our plug transplant bulb auger, you can realistically plant 50 to 100 trees per hour without breaking your back. You can buy this auger on the cheap with tree purchase, but with any order of 50 plug transplants or more [pls read that again, this offer is not for plug seedlings] we’ll include the auger for FREE!